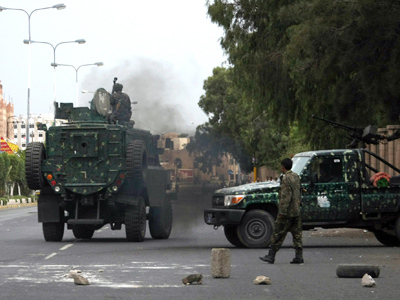 At least five people were reportedly killed and nine injured in Sanaa in clashes between Yemeni government troops and hundreds of Republican Guard officers, who attacked the Defense Ministry in protest against a planned reorganization of the army. ­Some 200 Guard members surrounded the Defense Ministry building in the capital city before clashes broke out. 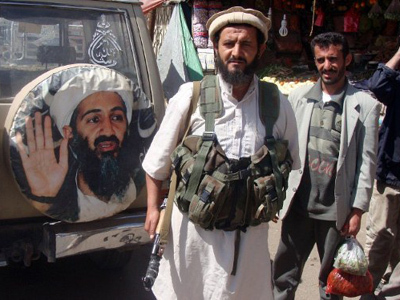 Heavy gunfire and explosions were heard as government troops were sent to repel the attack. Troops were also stationed around the central bank as employees evacuated the building. “Gunshots were coming from everywhere, we don't know who is shooting at whom, the whole area is blocked,” Reuters quoted local taxi driver Mohammed Ali as saying. The attackers, who came from the main Republican Guard base south of the capital in Sawad, exchanged fire with police on their way to the ministry, witnessed said. The violence came in the wake of changes to the military command structuer announced on August 6 by acting President Abdrabbuh Mansour Hadi. Under the proposed reorganization, command of some Republican Guard units was transferred from the son of former President Ali Abdullah Saleh to the newly formed Presidential Protective Force. Other units of the Guard, which include up to 90,000 troops, were placed under a different regional command. 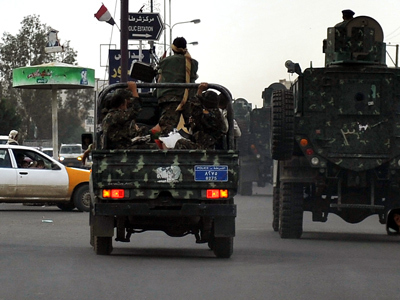 Brigades from the two units were assigned to Yemen’s central and southern regions. The Force under the President’s command will also include a brigade from the First Armoured Division led by General Ali Mohsen al-Ahmar, who defected to the anti-Saleh opposition during last year’s uprisings. The move was widely perceived as an attempt to curb the power of Saleh loyalists in the military, and as a step towards stabilization in a country where the former president's legacy still holds considerable influence. 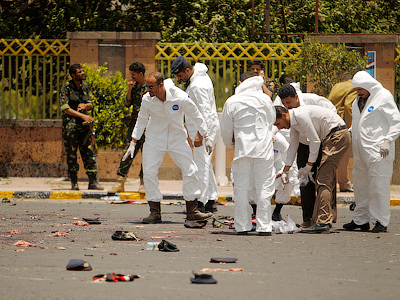 A group of policemen occupied the interior ministry on July 31 and clashed with troops in a gun battle that left 15 dead.